Our Butter/Cheese Dish is the most awesome and is a must have in your kitchen for the following reasons : It Maintains The Softness Of Your Butter You will always find butter in every kitchen that you will visit, because it is a vital requirement in many of our favorite recipes. To maintain its natural taste, the best solution is this butter dish. 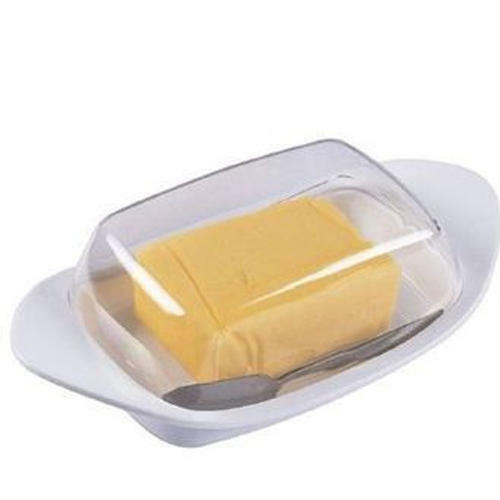 When you store your butter in this butter dish, you will not need to worry about the status of your butter. It Guards Against The Bacteria In The Air If you do not maintain good hygiene in handling your butter, then you should expect it to attract harmful bacteria that will make it go bad. Bacteria such as coliforms grow in butter that is stored at room temperature, and not covered properly to keep it free from the bacteria. Our butter container is the best way to ensure that your butter is safe and fresh at all times. It Guards Butter Against Insects The fragrance that butter has attracts various crawling and flying insects and the only way to completely discourage them from your kitchen is to buy a good butter dish and keep it safe.